The following is a guest post by Roxanne Reyes, a writer for Nonprofit Printing by PrintRunner. Nonprofit organizations have learned to take a step in reaching people through popular online platforms, like social networking sites. Not only do the websites provide convenience on communication; fundraisers and volunteers also experience better interaction with other interested online users. If you are about to venture in the nonprofit industry, then it’s valuable for you to know what social media sites can help boost your organization. We’ve gathered five popular networks that you might want to sign up for. 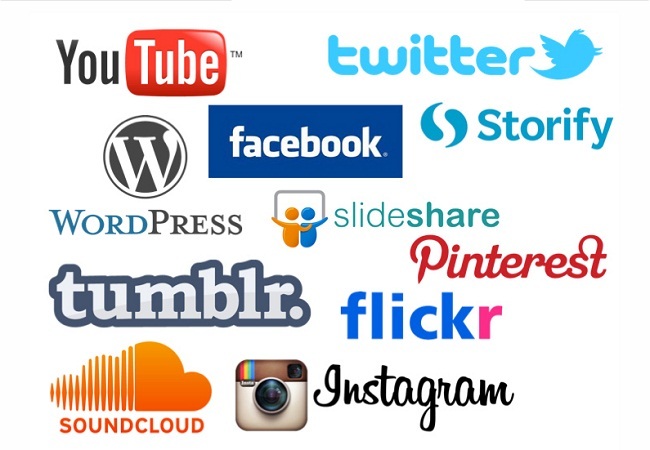 Find out what each social site has to offer and why your association should be a part of it. One of the social networking platforms that gained a lot of users in just a few years is Twitter. Even when it only provides 140 characters for tweets or status shares, online users are at ease with the way it shares updates. Followers from all around the globe can learn more on what their favorite celebrities, bands, or political figures are currently doing keeping them well-informed. When you register your nonprofit on Twitter, you can tweet quick updates about your nonprofit’s activities. You can spread news, ask for donations or volunteers, and even let others know how they could help your cause. Who wouldn’t recognize the social site that has already gained 1 billion active users? Facebook has made a huge success for the past years making it a top choice for communication by people and businesses. With its continuous development, many users are being provided with easier and faster way of interacting with their friends. Creating a Facebook page for your organization will help you reach larger audience. Share updates, links, photos, and even videos of what you’ve been up too. Encourage your online friends or fans to take part in your cause. Host online contests like photo or page shares and gain more funds to continue your fundraising activities. You can also develop an application on this media channel and use it to attract more donors. An example could be an interactive game wherein players can give credits as donations in exchange for a special item. They say that pictures speak louder than words and this is what Pinterest has proven. This photo sharing website that uses a pin board-style layout has been added to the list of popular social networking channels. It has even been recorded that Pinterest drives more traffic than Twitter does which is something that businesses would love to know. As for your nonprofit, being a part of Pinterest is a good move to let users view photos of your organization. You can upload pins related to your past or current activities. Images that would show how volunteers help for a cause could encourage others to take part too. Add up different boards and share pins that will make your fundraising activities more engaging and interesting. You can create specific boards for your upcoming campaigns. Label each according to the cause or name of your activity, and then include creative photos of the event. If you’re hosting a photo or art contest, then you can do the same thing. Google+ was launched in the year 2011 and gained a total of 500 million users, at least 200 million of these are active. Unlike the other social networking sites, this service stretches its reach even to the other platforms provided by Google. With its unique feature that uses circles to group connections, you can share updates to specific people whom you know will be interested about it. Signing up for Google+ can benefit your nonprofit in sharing news to certain groups only. If you have important donors or new volunteers or even charitable institutions that you wish to inform on a specific update, then form those circles and avoid sharing general posts. You can also start a hangout and talk to your friends online. Encourage them through live video chat and let them know how grateful your nonprofit would be if they’d be a part of it. A video-sharing channel that is still one of the most visited websites is YouTube. By just uploading your own video on this platform, online viewers can already watch what you wish to share. People can also vote if they like your post and the number of viewers will be recorded. Countless nonprofits have already used this site to be known by many, and some even gained success in delivering their message online like Big Brothers Big Sisters and March of Dimes. Upload a video on your latest charitable works and let YouTube users be inspired. Speak to them on what your nonprofit organization’s all about through the video. Make them feel that acting as a volunteer or donor is a job that will benefit those who are in need. Being a part of something that easily connects you with a lot of people is a great move to let your nonprofit’s voice be heard. With the help of social media websites like the ones shared here, you won’t have a hard time communicating and even gaining the people that will support your mission of helping others. Roxanne Reyes is an online writer who believes in supporting nonprofit organizations, volunteers, and advocacies that benefit children, nature, and animals. She currently creates articles for PrintRunner, a friendly printing company for brochure printing and an active partner to NPOs through its nonprofit program.